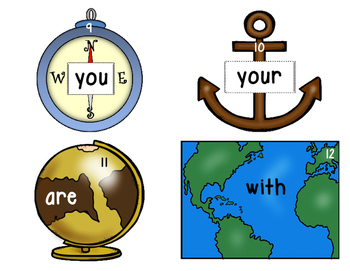 they, the, was, look, said, have, here, like, .you, for, are, with, of, and, his, her, that, but, from, this, what, were, when, &; your. 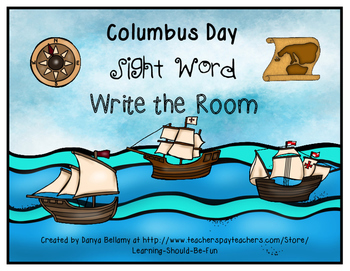 Just print, cut and laminate (optional) the Columbus Day pictures and post them around your classroom. 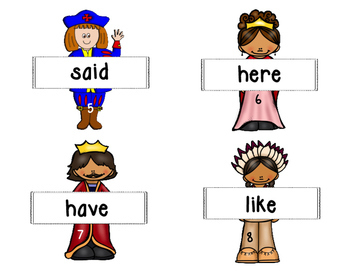 Give your kiddos the recording sheet and have them hunt for the words and write them on the appropriately numbered lines. 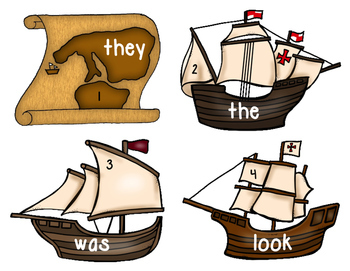 Then have them read the words on their recording sheet to a peer or a teacher. Have fun!